ReversED is an event The Lean Lab, an incubator for innovative solutions in education, creates. Five local school system leaders pitched their problems: Participants collaborated to design the solutions….. in 24 hours! New teams were formed by problem/solution. Sometimes the teams were made up entirely of people who didn’t know each other. Strategically Playful organized creativity energizers and group mind activators for teams and individuals who could benefit from playful challenges. 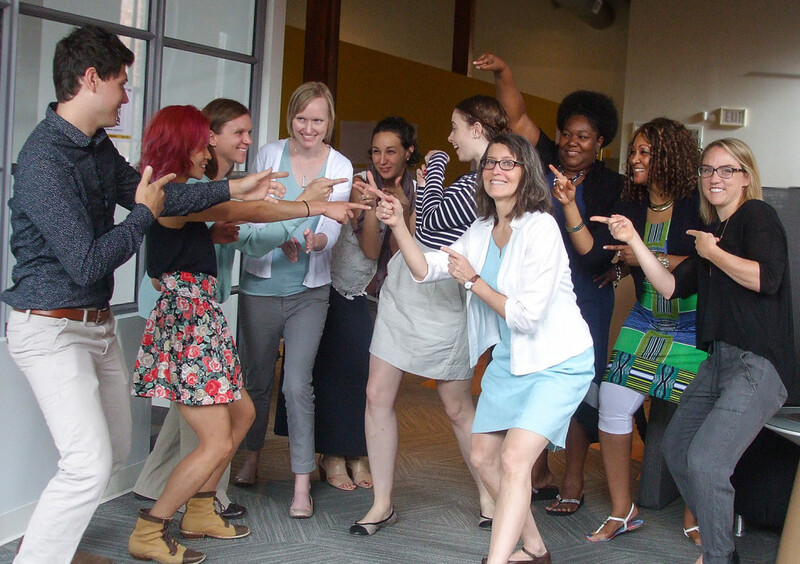 One activity we facilitated developed “group mind” – a sensitivity to everyone in the group. The video above shows what can happen during one of those exercises. The Beta Blox startup incubator is a training ground for entrepreneurs as they unleash their new businesses to market. 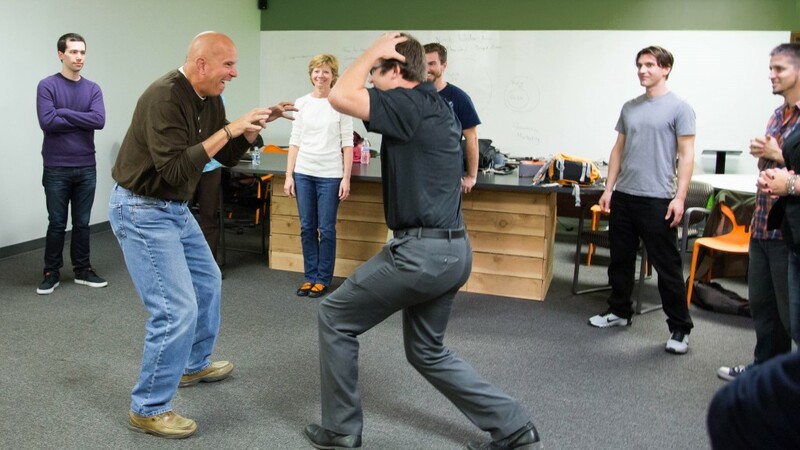 Always on the look out for resources to make a difference to those in his incubator, Wes Bergmann, principle at Beta Blox, decided to try an emerging training in Kansas City that leverages skills developed in improv. During a several year period of focused professional development, Bergmann experienced a noticeable benefit from the many improv workshops he took. He knew entrepreneurs could achieve more success with the improved “thinking on your feet” skills that he’d experienced (and seen others develop) in the improv training. An estimated 5,000 people explored South MS in Lawrence, KS in August to participate in activities, presentations, hands-on workshops and exhibits designed to spark creativity at school, in the home and the workplace. 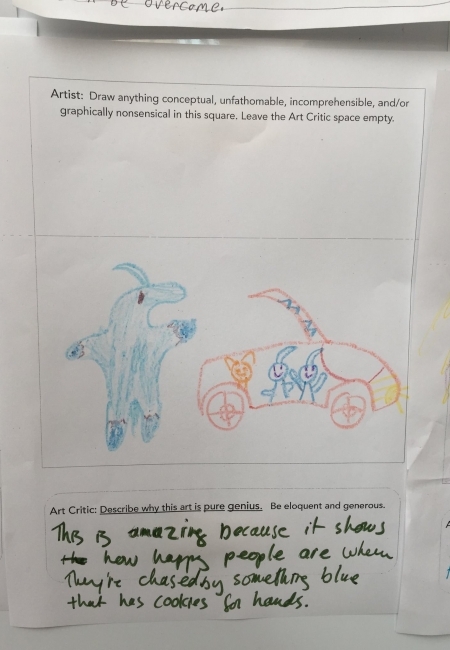 Among the Nerdy Derby, robots, drones, pirates and about a million of other activities and presentations, Strategically Playful created collaborative art experiences for all ages. 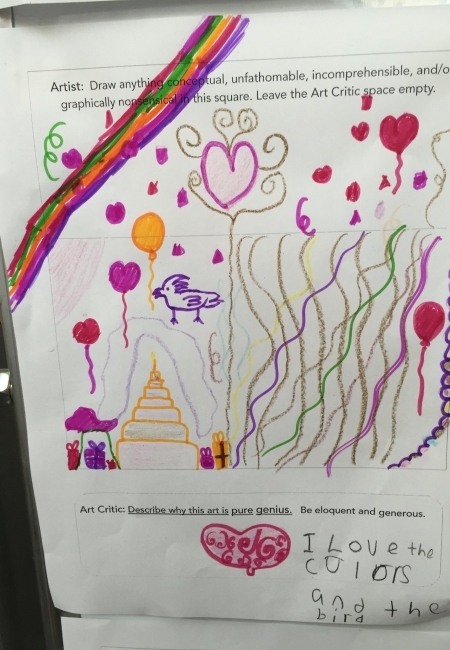 One aspect challenged kids to be generously kind art critics on anonymous art. Find out about next year’s festival of creativity on Facebook. The morning of the first day of the 2015 Lean Lab Fellowship program, Strategically Playful organized activities designed to convert stress to positive energy, create a sense of connectedness, and enliven creativity. 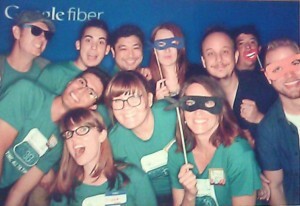 The fellows were beginning a four and a half week Incubator Fellowship. They will be guided through a rapid process of innovation for a specific problem or challenge in education they have identified. The most viable of these solutions are then invited to join the 201 Incubator Fellowship program where their initiatives are piloted in local Kansas City schools. 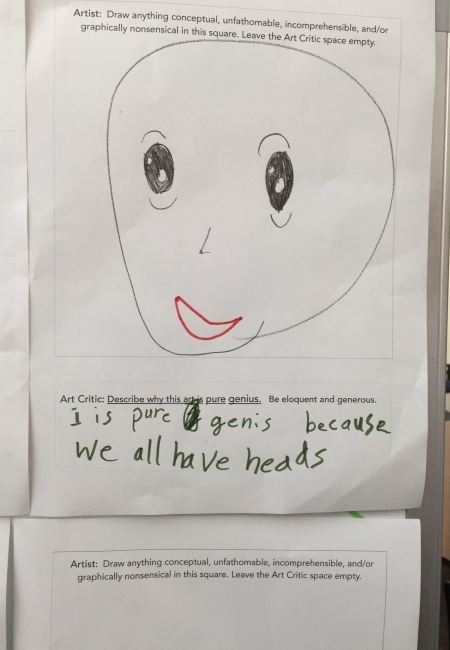 Their skills in creativity and innovation will be critical as they build their solutions. Often stress and fear of failure prevent risk taking and kill the willingness to take risks and try new things, all of which are essential for innovation. 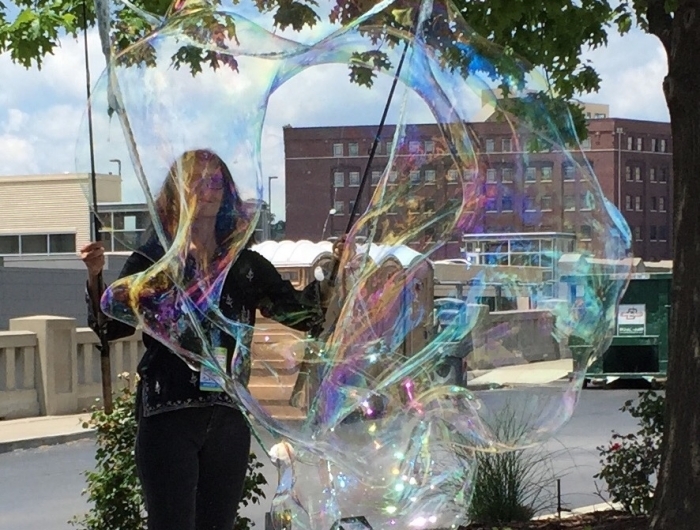 I got a ton of attention at this year’s Maker Faire because of the giant bubbles I created. Most of that attention was to get the recipe so people could enjoy making them at home. 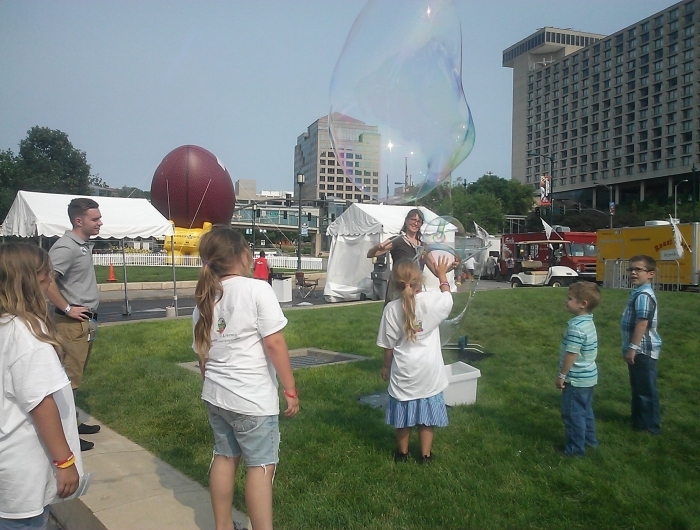 In researching how to make giant bubbles, I found bubble wikis, recipes used by people who have won Guiness world records, extreme bubble enthusiasts and several museums with bubble related events. I don’t know what the magic ingredient is that makes them so colorful, but I do know what helps make them large and long lasting. I’ve eliminated glycerin and guar gum from the mix, as well as any dishwashing liquid besides Dawn (it is the most biodegradable as far as I can tell). 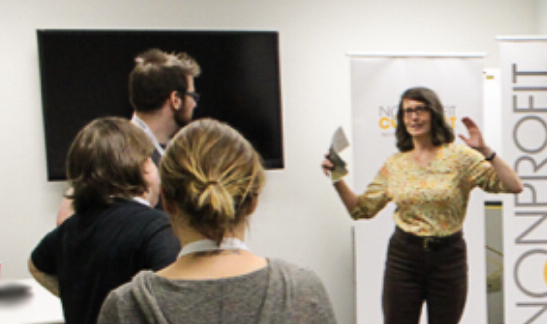 Every year, The Nerdery creates the Overnight Website Challenge for “nerds” to “give their time, talent, and weekend” to build new websites and back-end systems to support area non-profits. Project teams work 24 consecutive hours, on newly formed teams….. on new projects. Needless to say, those conditions can cause stress. I created late-night energizing breaks for teams to reconnect, relieve stress and boost their mood. Yin Eyecare provides eye exams in Overland Park and has a dedicated staff, including Dr. Yin. Some of the staff have been working together for five years and some for less than a year. We created a Spark Session over a lunch hour for the employees to have fun together, and to stretch their creative thinking skills. When several entrepreneurs, located in several different cities, imagined that networking and connecting could be fun, Startup Games began to come to life. 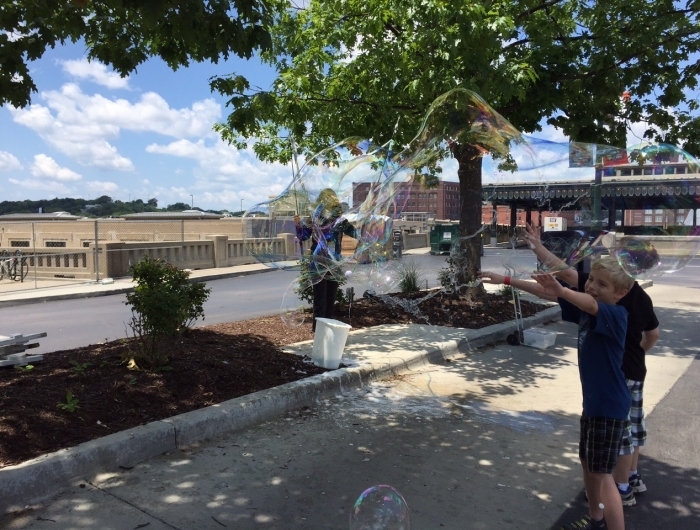 Everyone seems to love the bubbles that are created from ordinary dish soap, but kids seem to love them with wild abandon. 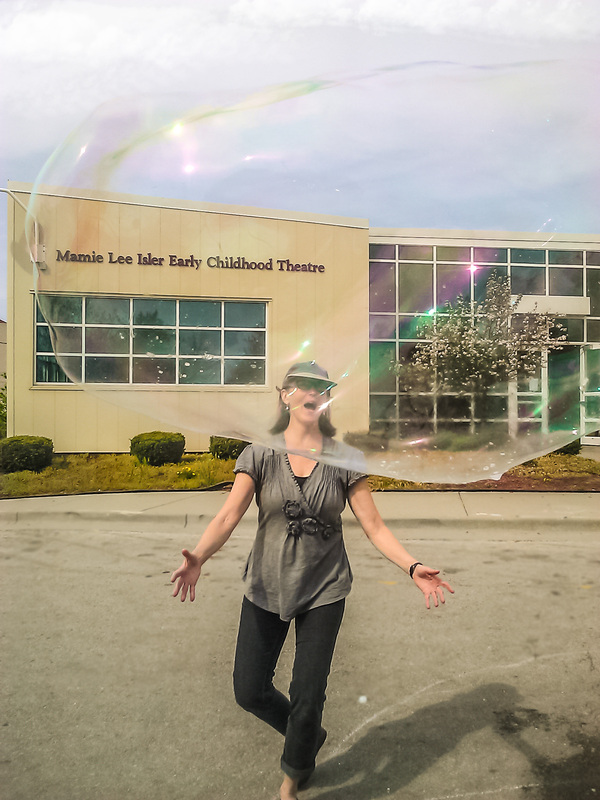 I’ve been creating an opportunities for kids to chase, pop, blow, watch and play with giant bubbles at different places around Kansas City, including at a Mamie Lee Isler Early Childhood Theater community event and the Chalk Walk at the Concourse Park Fountain. 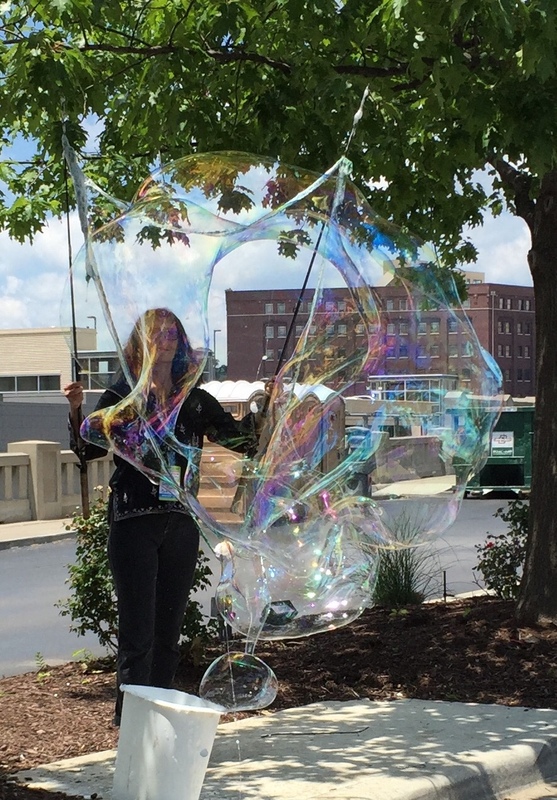 I’ve been exploring recipes and methods to make the bubbles as large as cars and sometimes, city busses. Every change creates larger and longer lasting bubbles. The picture at right is from an event I did with Stone Lion Puppets a few weeks earlier. The KC Maker Faire is always a fantastic place to experience and share creativity. 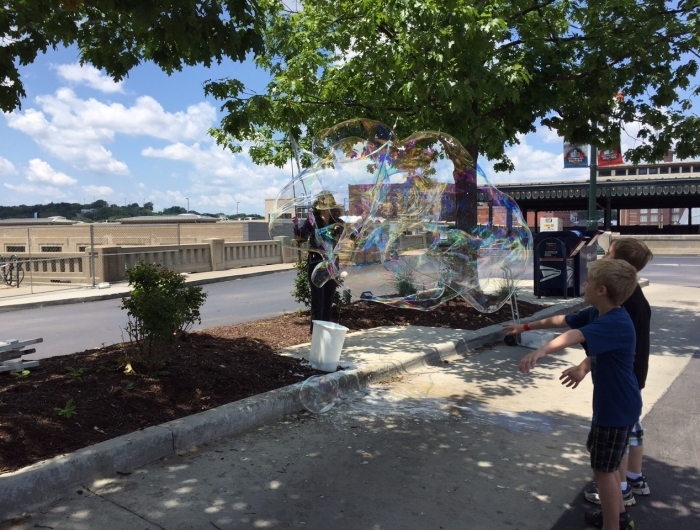 In 2015 I developed a special bubble solution which allowed people to blow bubbles inside bubbles, and then invited anyone who wanted to create these new bubble formations. 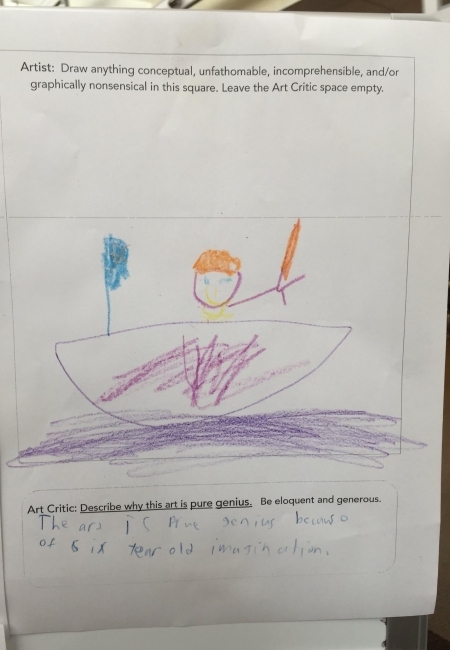 Last year we ran several sessions which first introduced people to their creative skills, then we collaborated on stories, poems and drawings. There was a wide variety of ages participating, from ages 7 to their grandparents age. We knew stretching creativity skills first would make the collaborations more interesting, and possibly provide new inspiration for whatever people were making, cooking, developing, building or planning. The creation process was chaotic and fun and strict time limits forced everyone to reduce their self-edits. We did drawings where everyone was given 20 seconds at a time to contribute to the artwork. Everyone rotated through multiple times until we had a completed piece. 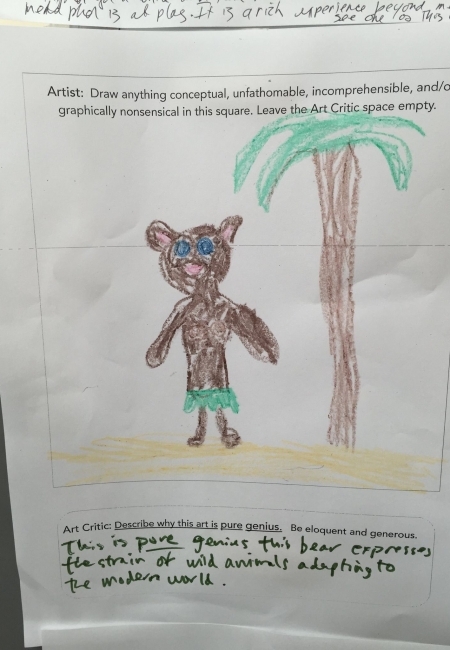 This worked really well because all ages could contribute. Every year the Nerdery, a digital agency with one of its seven offices in Kansas City, creates the Overnight Website Challenge. For 24 consecutive hours, web developer volunteers and representatives from selected non-profits convene and create full blown websites for those non-profits.